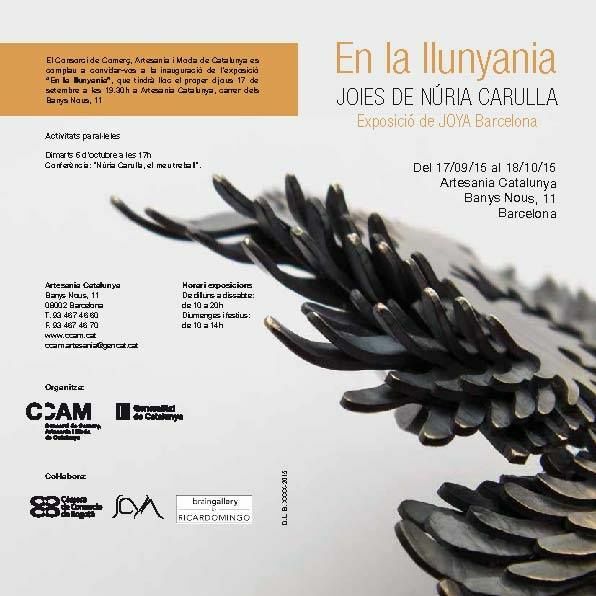 « In the distance (« A lo lejos ») is a series of works inspired by the birds flight and how they perceive the landscape from above, is an allegory to the freedom of creation, to see beyond all, not just a part, see the order within chaos. I take as a reference the treetops and what I perceive inside, achieving lightweight pieces, transparent, geometrical and chaotic at once. It is also an evocation of the final stage of my career, expressed on freedom of creation and seeing things in the distance. 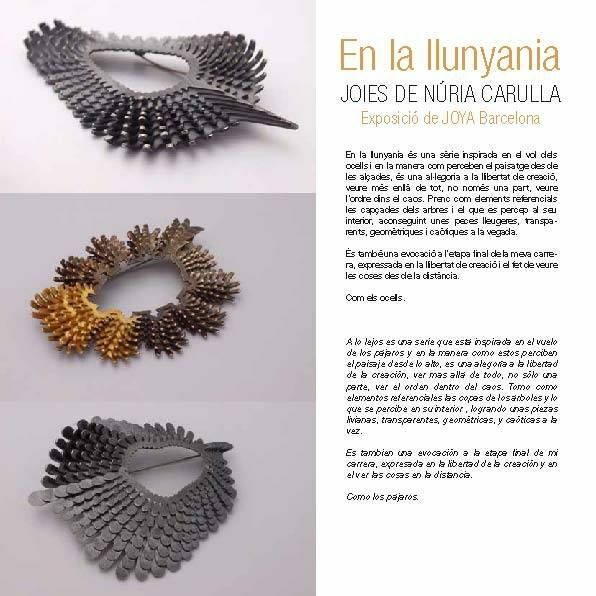 Nuria Carulla – broche « A lo lejos » detalle …………. y VOLANDO hasta la muestra !! !